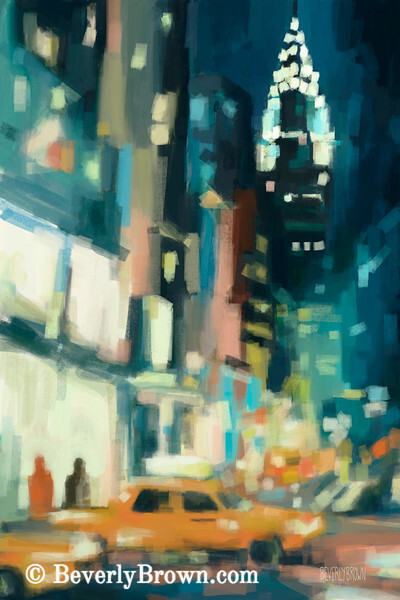 shop nowA luminous, impressionist style view of 42nd Street in NYC looking east, with the iconic Chrysler Building in the background. Painted digitally on an iPad, in shades of turquoise, teal, orange and yellow. One of a series of New York nocturnes. © Beverly Brown.